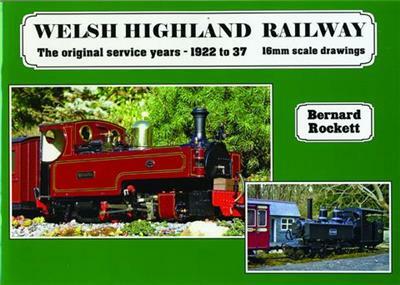 three locomotives used by the Welsh Highland during its first period of existence - the single Fairlie ‘Moel Tryfan’, the Hunslet 2-6-2 ‘Russell’ and a Baldwin 2-6-0. Other drawings cover the passenger stock, and the goods vehicles. 52 landscape A4 format pages, full of drawings, archive and model photographs. Softcover.